Overall sales prices and volume rose slightly in March for Manhattan apartments. But, sale prices in the Manhattan new construction condo submarket soared, according to a newly released report by New York City brokerage CityRealty.com. The average sales price of a Manhattan apartment, which includes both condos and co-ops, rose 5 percent from the previous month to $2.3 million in March. Manhattan condos had an average sales price of $3.6 million in March, up from $3.4 million the previous month. Meanwhile, the average sales price of a Manhattan co-op dropped slightly to $1.2 million from the previous month’s average of $1.3 million. New construction condos, however, sold for an average of $6.7 million in March, an increase of 24 percent from the previous month’s average price. And, while new construction units sold for more, fewer units were sold in March. The number of new construction transactions dropped to 116 from the 123 units sold in February, says CityRealty.com’s data. Downtown Manhattan continued to dominate new construction sales, accounting for 68 of the total number of sales. The average price per square foot of a new Manhattan condo rose 11 percent year-over-year in March to $2,541 per square foot, up 8 percent from the previous month. A total of 819 condo and co-op units were sold in Manhattan in March, up 4 percent from the previous month. Condos accounted for 389 of the total number of transactions, while 428 co-ops were sold in the month. March’s sales volume totaled nearly $2 billion in gross sales, an improvement from the disappointing $1.7 billion total recorded in February. The month’s top sale was in 432 Park Avenue — an 8,055 square foot condo, one of the developments largest units, sold for $65.1 million. 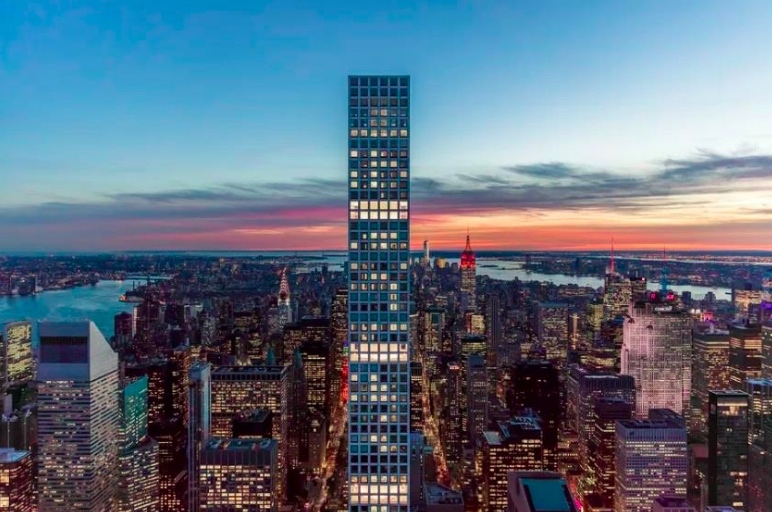 432 Park Avenue is a new construction condo development located along famed “Billionaire’s Row,” an area between 56th and 57th streets that houses some of the city’s most expensive condo developments.